Sierra Arana has written 2 post in this blog. If you are feeling overwhelmed and don’t know what it all means or how to begin to use “Advertise your business,” don’t fret! We have provided some ideas and examples of how you may use every option listed to your benefit. Get More Website Visitors – this is a good course of action to take if you have launched a new site or a new product(s), or want to promote an action on your website itself.. You will want to pinpoint your ideal demographic by using Facebook’s location, gender and interest options. 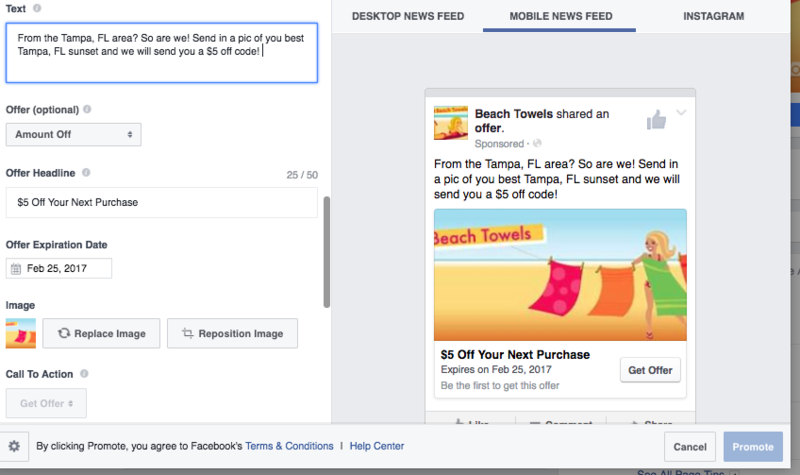 One thing to keep in mind: the cost per click is often higher for this type of promotion versus actions which keep the user on Facebook’s platform. If you are a national or online business company promote yourself as part of the “community” to separate yourself from the masses. Take Beach Towels, an e-commerce company as an example, they offered locals a deal they couldn’t refuse! 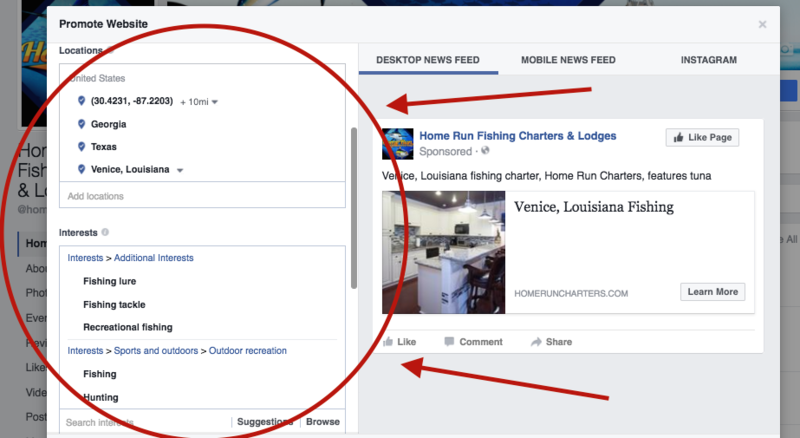 Promote Your Page -use this option to build Facebook page likes and build your business’s Facebook presence. The more followers you have, the more potential engagement you will get on your posts. 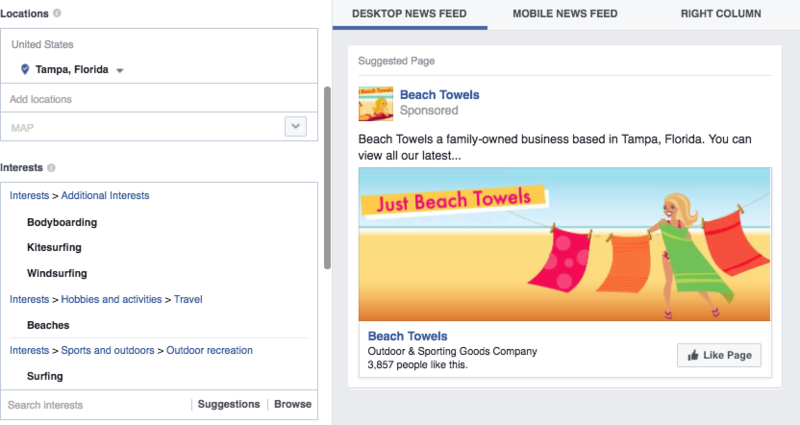 We recommend that businesses at all stages promote their page, but this is especially necessary if your business is new to Facebook or has a limited fan base. Again you’ll want to make sure you promote to demographics that will be likely to engage with your business. Beach Towels, for example, an online business, used this option to encounter an audience who interests are in outdoor activities and located in Tampa to expand their awareness. Share Page with Friends – It is important to resend some invites to some of your new friends on your personal FB page and remind your “followers” to invite some of their friends, simply just to check out your services or goods and invite them to “like” your page. A simple post will suffice. So there you have it, a quick course on how to utilize “Advertise Your Business”. Stayed tuned for the next chapter in this Facebook status series, “Create An Event”. 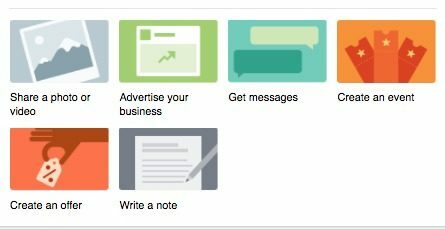 Still not sure where to start with Facebook advertising? We can help! Contact us now or call us 877.222.4469!